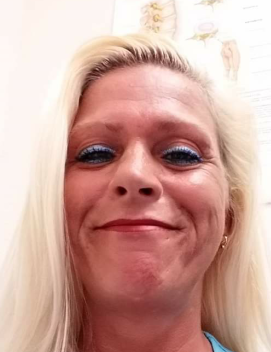 Kimberly Denise Mezza passed away at her home in Athens, Texas on March 20, 2019. Memorial Service will be held on Friday, April 05, 2019 at 1:00PM at Driggers and Decker Family Funeral Home, 105 Vintage Drive Red Oak, Texas 75154. Kimberly was born on December 15, 1972 in Dallas, Texas to James and Kathy Farrald. She was very close to her family, especially her parents. She loved her kids and enjoyed being surrounded by her family. Kimberly worked in her father’s business for many years. She was an animal lover, enjoyed getting tattoos and working in her yard. Although, some would say she was a bit of a loner, she was an important part of her family and will be very missed. Kimberly was preceded in death by her parents. She is survived by her husband, Al Mezza; children, Haley, Alex, Gabby, Seth and Zoey; sister, Amy Beightol and her husband, Paul; brother, Marcus Farrald and his wife, Ashley; nephews, James Farrald and Austin Sullivan; niece, Miranda Sullivan and many other relatives and friends.